Pamper yourself at the Paihia Beach Resort and Spa with a visit to their highly regarded La Spa Naturale. Take your pick from a variety of treatments using premium products and delivered by friendly and professional staff. To really make the most of your stay at the resort, tantalise your taste buds at the Paihia Beach Resort and Spa’s Provenir Restaurant. Be sure to check out their extensive wine list. 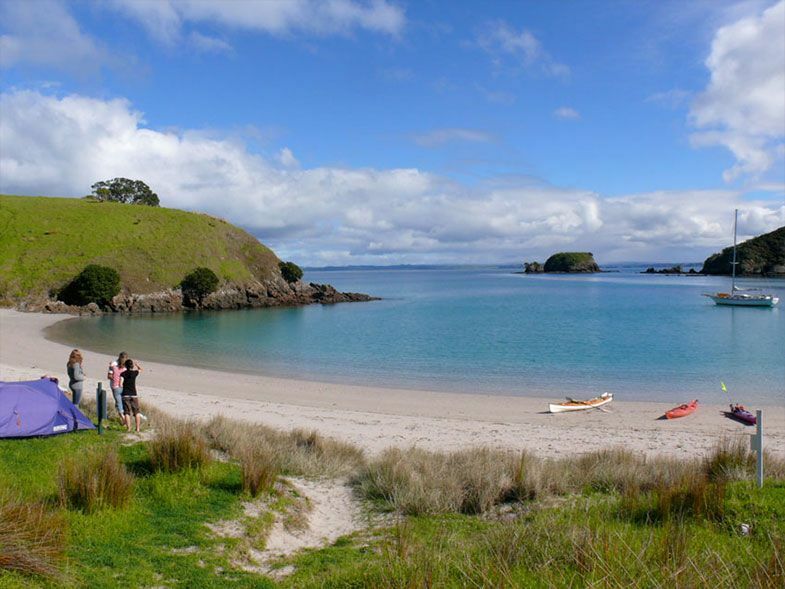 Stay at the Paihia Beach Resort and Spa to make your experience as smooth and relaxing as possible. Make the short trip to Kerikeri in the morning, and arrive in time for lunch at the award winning Marsden Estate winery. Take a tour of the estate, sample some of their more unusual wines, or just relax in the courtyard as you enjoy their wines matched with innovative cuisine that showcases the unique flavours of the region. If you have time and the appetite, check out the boutique, organic (and also award winning) Ake Ake Vineyard for a bit of variety. Their restaurant serves seasonal local food and you can do a tasting of their favourite wines while you wait for their delicious antipasti platter. Stay at the excellent Stone Store Lodge for a stylish B&B experience complete with wood fire pizza dinners and a Kiwi bush bath if you’re game! If you prefer something a little more secluded, treat yourself to the luxurious Fernbrook Cottage. Enjoy your own private beach, listen out for the local Kiwis at night and walk off your lunch in the 27 hectares of olive trees, native bush and a waterfall. Take an hour to drive north to Matauri Bay and visit the magnificent, world renowned Kauri Cliffs golf course. Of the 18 holes, 15 take in views of the Pacific Ocean while 6 are played on cliffs that plunge to the sea below. If you’re not a golfer, it might be time for more pampering at the Kauri Cliffs Spa. Enjoy a range of unique experiences by way of the finest holistic therapies and natural, indigenous products. Make a day of it and stay the night at the award winning Kauri Cliffs Lodge. If you’re part of a large group, consider renting the Owner’s Cottage, which features a stunning private infinity pool and outdoor Jacuzzi.